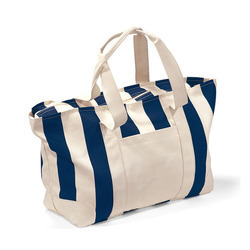 Pioneers in the industry, we offer cotton duffle bag and jute duffle bag from India. With the excellent support of our brilliant professionals, we are engaged in presenting Cotton Duffle Bag. This bag is stitched using premium quality cotton fabric with the aid of high-tech designing techniques under the surveillance of our skilled tailors. The provided bag is widely demanded in a variety of national and overseas markets. Clients can get this bag in bulk from us at industry leading rates. A flourishing enterprise in this domain, engaged in presenting a wide range of Jute Duffle Bag. This bag is designed and crafted by our newest designers. Every bag designed has an ideal length that accommodate well with the given stuff. 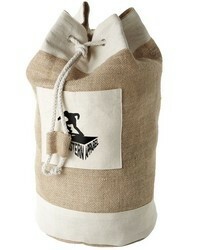 The bag has its top designed using jute, and other soft fabric. Offered bag can be designed as per personal style and choice at our production unit. Looking for Duffle Bag ?